If there is one single item or accessory that can make a huge impact on the rest of your dwelling, it simply has to be your window dressings. Not just a way to keep the sunshine from blinding you while you eat your lunch, or for keeping your home cooler during the scorching Singapore months, window coverings impart style, sophistication and really tie a room together. Boasting far more than a rug that anchors your furniture within the space, window dressings are a way to bring your entire room’s style together, and look truly fabulous. Whether you have a preference towards curtains, drapes, shutters, blinds, or any of the other countless window options there is something wonderful about the privacy and style that window dressings offer. 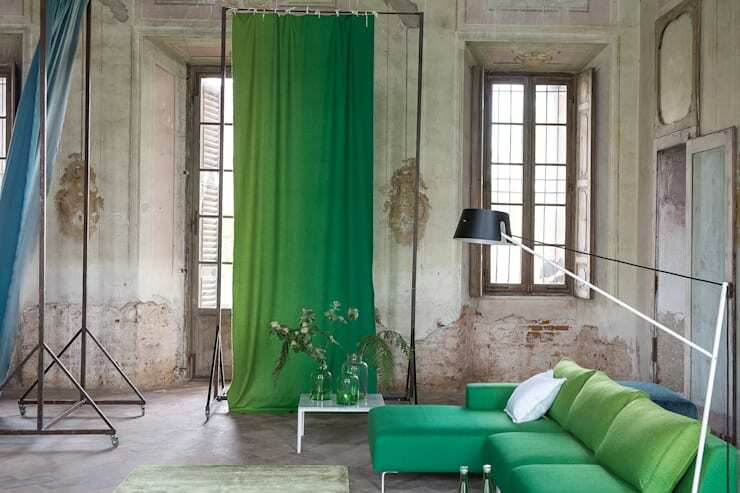 Today on homify we are going to be taking a look at the former mentioned dressing, the curtain. Curtains are one of the simplest ways to cover your windows stylishly, and come in a range of different stylistic options. But what about making your own curtains? Sure there are plenty of different designs on the market, but a homemade curtain can allow you to personalise, save money, and have fun attempting an exciting DIY project. 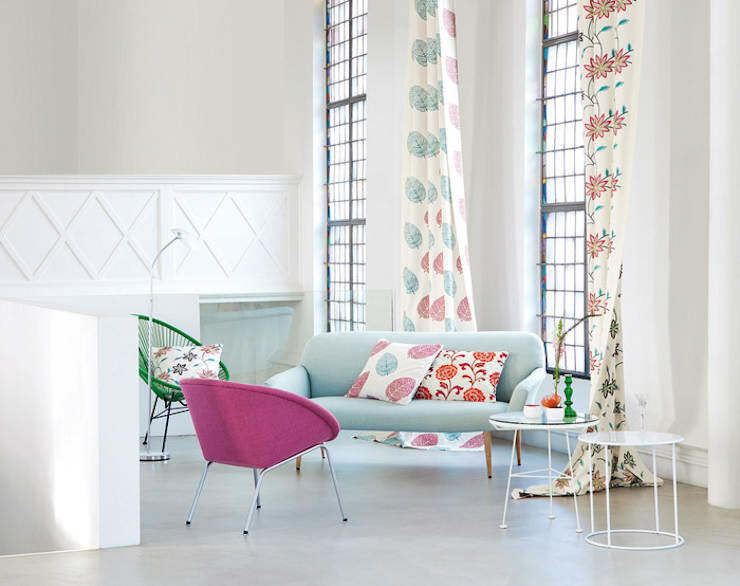 Welcome to homify’s ‘sewing curtains: 101’. If you have considered making your own window dressings then take a peek below at some of our handy hints and tips, and get started on your own fabulous pair of individualised and unique curtains! Before you begin your DIY curtains there are certain tools and items you will require. We've collated what we believe to be the essentials, but you may find other items that help you along the way. The key item that is required for the curtains is very obviously your sewing machine. If you already own a sewing machine you will probably know how to thread it and get it prepared for use. If you don't, head down to your local retailer or haberdashery store for a crash course in threading and using your machine. Short 1 hour courses are usually available in certain fabric stores or through sewing channels to give you some handy advice. Alternatively, pop on over to YouTube and watch some DIY videos to see how it is done. If you are buying a new machine you will be able to ask the professional retailer to show you how to thread and get started. If this isn't possible friends, family and the internet should be able to provide enough advice to get you going. Furthermore, if you are simply not interested in machine sewing you can definitely do this by hand; it will just take a little longer. Next up you will want to choose and measure a space. Some people like to choose their fabric prior, but I think measuring the space gives a good indication how much material you will need, which helps if you have a budget when purchasing your fabric. Your chosen window might be a kitchen opening, bedroom, or perhaps any other window in your home. 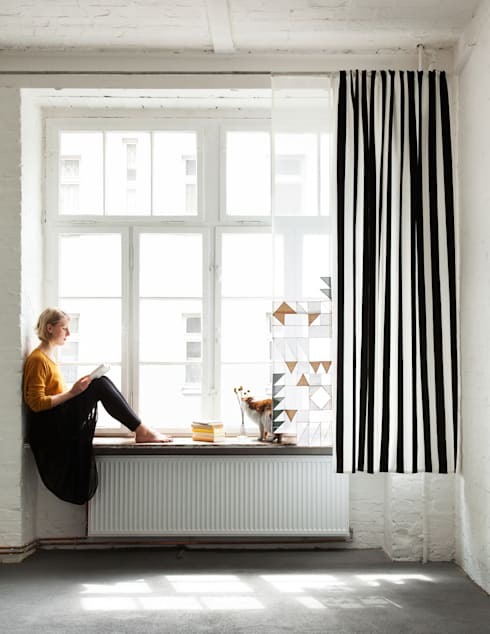 If you are a little nervous about beginning (or your sewing skills), start with a smaller window such as the kitchen or bathroom, learn the ropes and build up to larger bedroom or living room windows. Grab your measuring tape and measure from the curtain rod (or intended place the curtain rod will sit) to where you would like your curtains to fall to. 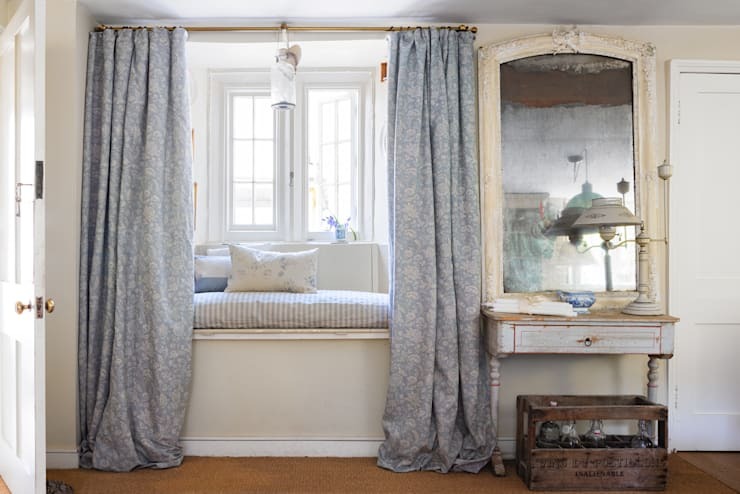 Curtains often look lovely when draped all the way to the floor as shown in the example above. If this is the look you are going for, leave an additional length such as 20-30 centimetres to allow them to elegantly drape over the floor. Furthermore, when you measure your space add an additional 40-50 centimetres to allow for shrinkage in the wash, plus the hems. For first-timers, choose a simple fabric without too much stretch. A standard cotton, linen, or polyester blend can work well, as they are fairly easy to sew with. If you are a confident sewist you might want to choose a different fabric as there exists a countless range of colours, fabrics, and styles to pick. Consider what you are using the curtain for. 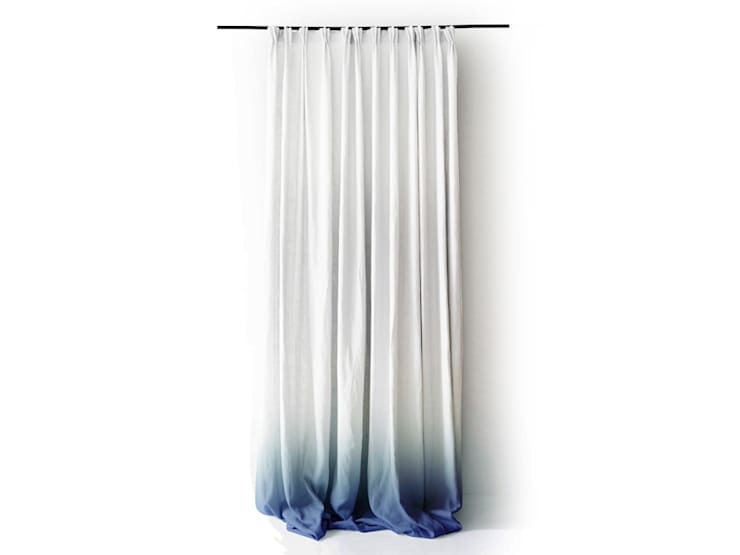 Are you blocking light, creating privacy, or is it simply a decorative curtain to brighten your room? All of these questions will help you determine the style and type of fabric you choose. Once you've picked your new curtain fabric you should take it home and wash it. Pre-washing ensures the material shrinks to a certain degree so that when it actually washed after sewing it doesn't crease, crumple or crinkle around the seams. One you have washed and dried your fabric, iron it straight to remove wrinkles. 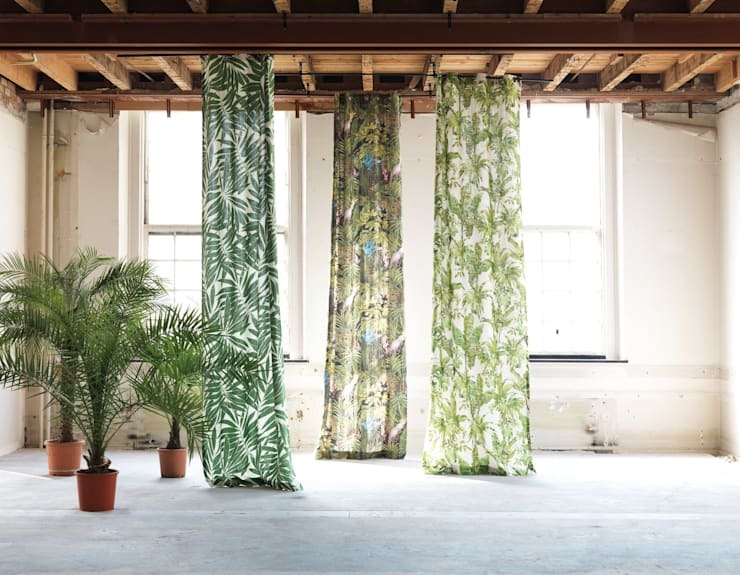 If you need help choosing a fabric style that will suit your interior, chat to a professional beforehand and get some handy decorative advice. Cutting fabric is probably the trickiest and most nerve-racking step in the curtain creation process. If you don't measure correctly you will end up with misshapen curtains that look shabby and amateurish. Measure your curtains at least twice and if you are doing a matching pair, perhaps measure them an additional time. Once you are sure you have the right size for each curtain panel, cut the fabric. - Grab your fabric and turn it over, then fold the hem over by about 2-5 centimetres. The hem size will be determined by how large you want your hem to be. Now that you have pinned your hem it is time to sew it. Turn the fabric over so that the print or coloured fabric is showing. Choose a simple stitch and begin slowly sewing in the middle of your hem, removing pins as you sew up to them. Repeat this for all sides of your curtain. After this you will want to sew the curtain rod opening. You should choose your rod before this is sewn (see next step), as rod thickness will vary. - Fold top hem over to create a pocket for the rod (depending on the size of your chosen rod). Remember to make this larger than you think it will need. - Pin the hem down and sew the pocket. Voila! Your curtains are now complete. Next up, head to your local homewares or haberdashery store to choose a rod that will match your curtain fabric. Rods come in many different shapes and sizes, so choose one you like the look of, and one that will suit your interior aesthetic. Install the rod hooks (that support the rod to the wall), thread the curtain over the rod, and hang over your window. 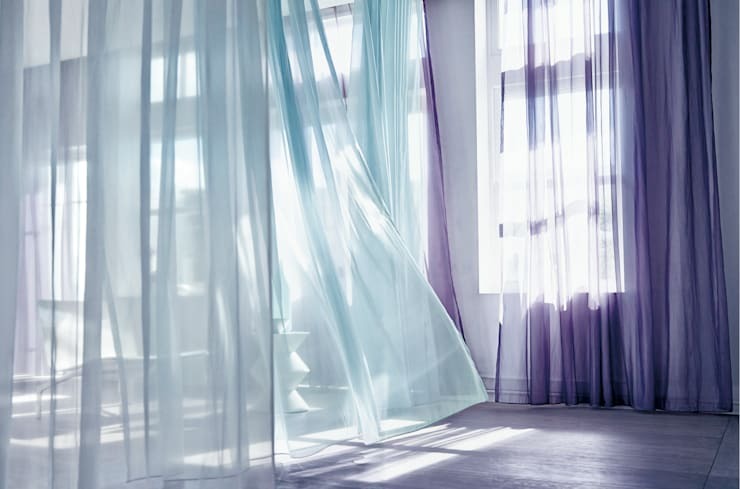 Now that you have sewn your curtains the next step is to simply step back and enjoy them! A DIY project such as this may seem tricky to begin with, but over time and with practice you will find it a thoroughly satisfying experience, with your home looking all the more stylish. If you would like some more DIY ideas and inspiration, check out another of our creative Ideabooks here: 6 DIY ideas to decorate a boring balcony. Have you got any other tips or tricks for our readers? If you would like to contribute your own sewing knowledge, leave a comment below!